Here it is, "Pitch Perfect 3" advanced screening passes. "Pitch Perfect 3" opens in theaters Dec. 22, but you have an opportunity to watch it early. Its first come, first serve, so once they are gone they are gone. 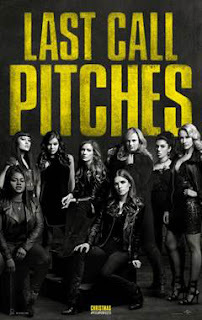 Now graduated from college and out in the real world where it takes more than a cappella to get by, the Bellas return in "Pitch Perfect 3," the next chapter in the beloved series that has taken in more than $400 million at the global box office. After the highs of winning the World Championships, the Bellas find themselves split apart and discovering there aren’t job prospects for making music with your mouth. But when they get the chance to reunite for an overseas USO tour, this group of awesome nerds will come together to make some music, and some questionable decisions, one last time.